Fourteen man Dublin qualified for their sixth consecutive Allianz National Football League Final with a hard fought draw against Galway this afternoon in a feisty affair in Pearse Stadium in Salthill. 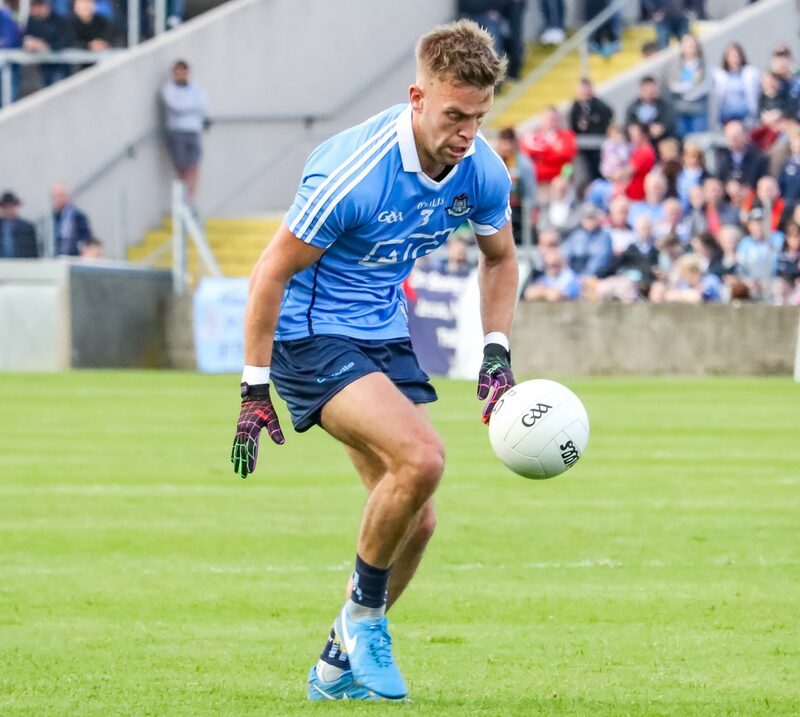 Jim Gavin made four late changes to the his side with Evan Comerford, Philly McMahon, Ciaran Reddin and Paddy Small starting the game in place of Stephen Cluxton, Brian Fenton, Niall Scully and Brian Howard. Both sides headed into today’s game with unblemished records with five wins apiece. Galway won the toss and choose to play with the famously strong Salthill wind at their backs. With Galway sticking to their tactic of massed defence and the wind making it impossible to shoot long range frees Dublin needed to be patient in possession to carve out scoring opportunities in the first half. Ciaran Kilkenny who finished with 0-05 to his name hit the first point of the day in the opening 10 seconds and that lead was doubled in the seventh minute with a Dean Rock free. But with the advantage of the elements Galway were able to kick from longe range and the hosts led by 0-05 to 0-02 by the 13 minute mark thanks to points from Barry McHugh with some long range frees. By the short whistle the Tribesmen held a five point lead with the score 0-10 to 0-05, both sides also failed to take goal opportunities that came their way during the first half with one for Dublin’s James McCarthy and at the other end for Galway’s Barry McHugh. But it was a different story after the break with Dublin outscoring the men from the West by eight points to three. By the 43rd minute Jim Gavin’s charges had cut the deficit to just three with a Dean Rock free and an excellent point from Ciaran Kilkenny. Dublin were struck a blow just three minutes later when Dean Rock was shown the line on a black card. But the men in Sky Blue pressed on and a fine point on the overlap by Jonny Cooper and a Paddy Small free left the bare minimum between the sides. Galway finally gave the umpires something to do and points from Damien Comer and Johnny Heaney pushes their lead out to three with seven minutes of normal time remaining. Dublin’s substitutes though made an impact on the proceedings although not all of it was positive. Conor McHugh pointed a Free in the 66th minute but just minutes later Eoghan O’Gara who was only on the pitch a mere six minutes was shown a straight red card for an off the ball incident with Seán Andy Ó Ceallaigh who himself was black carded late in the game. As the game hit the 70th minute there were five minutes of added time announced. Dublin made hay during this period Cormac Costello with two well struck frees and Ciaran Kilkenny with his fifth of the contest gave the boys in blue a one point lead and with just a minute left looked like they would claim the win. But an injury to a Galway full and a couple of minor melee’s which were a feature of today’s game led to another four minutes being added which gave Galway the time they needed to grab the equaliser scored by Johnny Heaney. 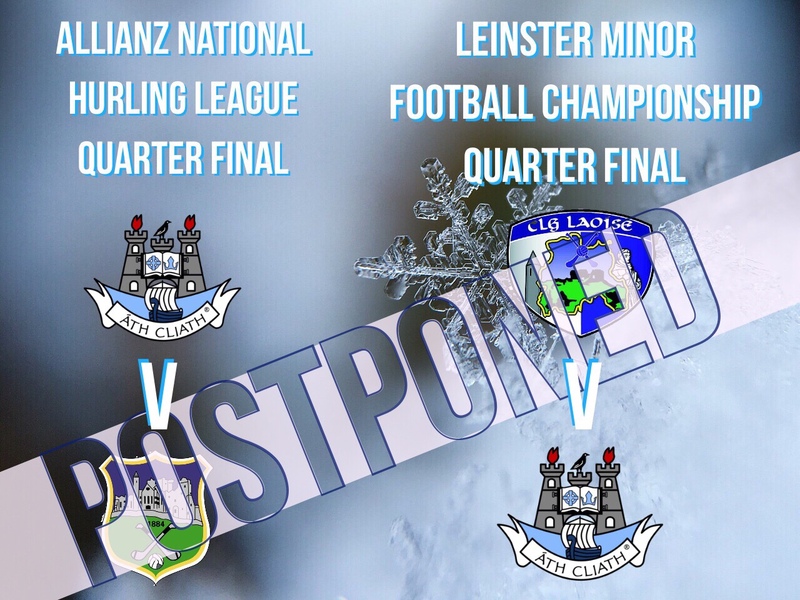 The sides will next meet in Croke Park on the 1st of April in the Allianz League Final which if today’s game is anything to go by will be another tetchy affair. But you would expect with hopefully better weather conditions and a nearer to full strength Dublin side Galway will find Jim Gavin’s side a much different challenge altogether. D Kyne for Ó Ceallaigh (Black Card 76th Min). 19. Andrew McGowan for J Small (67).